Convert your existing shower stall into a spa-like environment by installing a showerpipe system onto your existing piping. This exposed Raindance S 240 showerpipe system has everything you need to retrofit your shower stall with both an overhead shower head and handshower. The system features a Raindance S 240 Air single-function shower head with 180 no-clog spray channels and a RainAir spray pattern. The shower head measures 9-3/8" in diameter x 2-1/8" high. The included Raindance S 120 Air three-function handshower features 87 no-clog spray channels and offers RainAir, BalanceAir, and WhirlAir spray modes. 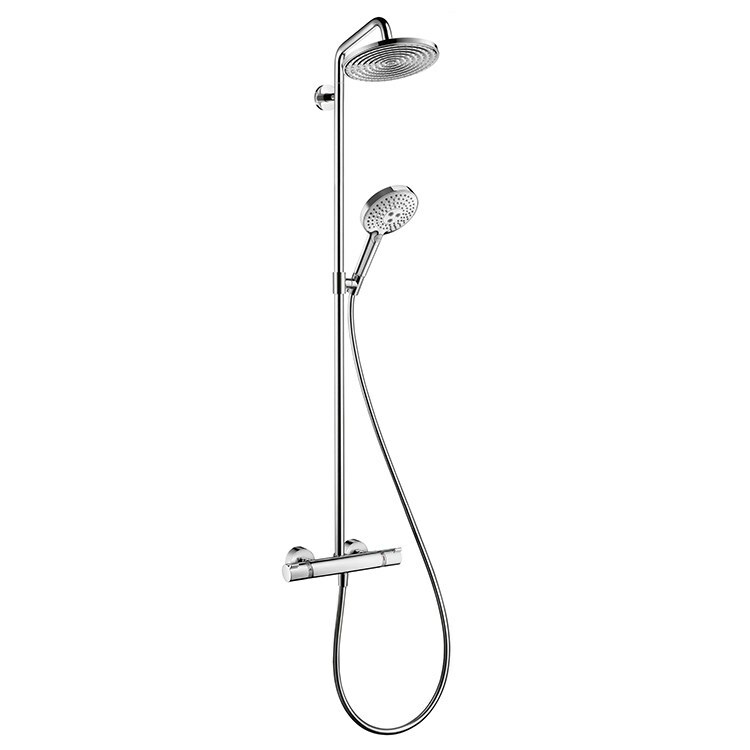 System also comes with a 110-degree shower arm, a handshower holder, and a 63" Techniflex no-kink hose with standard 1/2" connections. The showerpipe system measures 47-3/4" high overall and extends 22-1/2" from the wall when installed.